The growth of esports means managing events is more important than ever. A smooth customer experience is vital for event success so Esports Tickets launched September 2017 to fill the glaring gap in event management and ticket sale options into a single app. 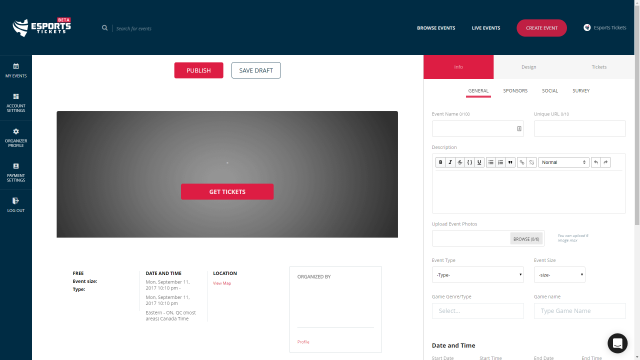 Similar to Eventbrite but focused on esports, Esports Tickets brings together the parts of a ticketing website with an esports section and a gaming website with an event section. The result is a seamless, omni-channel experience with several features that make the user experience simple and easy. Think Ticketmaster meets Eventbrite. Events page screen shot from the app. User-friendly event management system where organizers can create events for free. Comprehensive and powerful search tool where users filter their preferences based upon event date, time, place, and specific game. 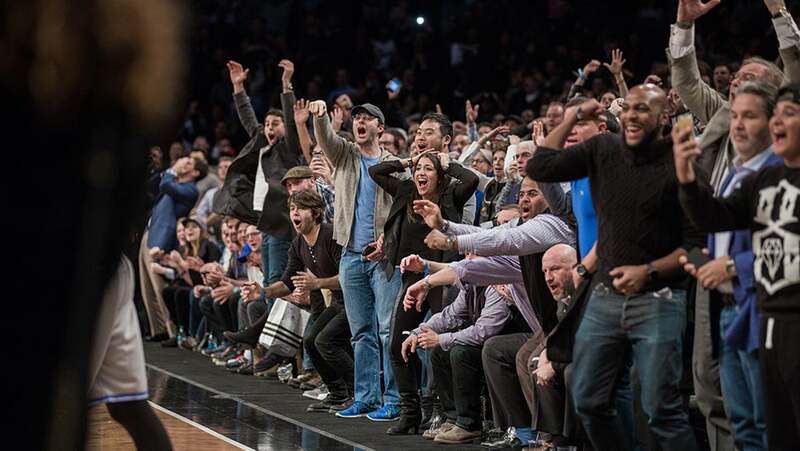 Multiple ticket options that include free (with a twist), crowdfunded and paid. Gamification of the entire experience pre and post event designed to engage the customer with the event, sponsors, and other fans enhancing the process for feedback and growth. Other ticket and event platforms have a free ticket option for organizers. 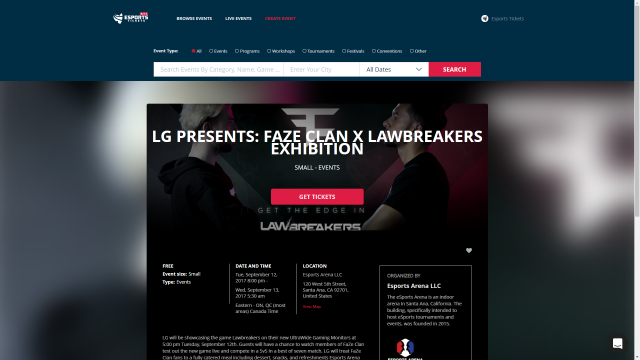 Esports Tickets takes it one step further. “We provide a free option for organizers not only for the events themselves,” CEO Arwina Mogul said, “but also as a tool to help planner gauge interest in the event especially if it’s free of charge. The crowdfunding option is particularly popular in the esports world. Of course gamers will make everything as fun as possible. That’s what esports is all about. Mogul said this will take several forms as the app develops. So now that the app is live, scaling and monetization are the focus. The revenue model revolves around service fees. Stripe takes their cut for North America (2.9 percent plus $.30). The app charges organizers 3.5 percent plus $.30 per transaction for paid and donation-based tickets only. Free ticketed events don’t get charged. Next steps include building out the platform and a partner system where Esports Tickets provides partner benefits to eligible organizers.